I figure if you never have an end in mind you’ll never get to where you want to be. No doubt I’m a bit late to the goal-setting party by most 2019 blogging standards but you know what – who cares – better late than never! I find the problem with some of those generic statements is often they lead oneself to generic outcomes. The devil is in the details. On the subject of our emergency fund, we already have one – this is how much we keep. There are no plans to keep more because we’re saving for retirement AND getting out of debt at the same time. On the subject of saving for retirement, we focus on investing in two accounts: maxing out contributions to our Tax Free Savings Accounts (TFSAs) (first) and then establishing monthly contributions throughout the year for our Registered Retirement Savings Plans (RRSPs). We prefer to maximize contributions to our TFSAs every January for these reasons. Your mileage may vary. Save for our 2020 TFSAs. This implies we’re going to try and save $12,000 this year to max out contributions for next year. That’s the plan anyhow. Why 2020? Because our TFSAs for 2019 are already maxed out with some of these five favourite stocks of mine. Reduce our mortgage by $20,000 by the end of 2019. Why? Because debt is an anchor for us. Using our existing bi-weekly payments and/or any lump sum mortgage payments, we hope to make a sizable dent on our mortgage by year’s end. Max out my wife’s RRSP. Why? My RRSP is pretty much out of contribution room. 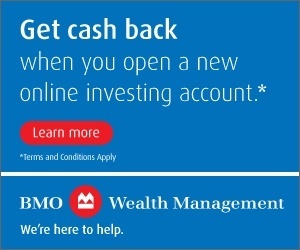 We also believe in maxing out any available tax-deferred investment accounts before taxable investing – although we do have a non-registered account with Canadian dividend paying stocks. Over the coming year we think it would be outstanding to have all our registered accounts (x2 TFSA and also x2 RRSP) full of contribution room – this would be a major financial milestone for us. We need to save a bundle to make this happen, more than $15,000 at the time of this post. While a great goal, to be honest though, I doubt this goal will happen completely. We have priorities #1-3 above for 2019. We can’t do it all. But it is nice to have stretch assignments. Beyond saving for any financial future it’s important to enjoy today. So, we hope to take an international trip in the next 12-14 months. We have our eyes on Chile for beach, sun, hiking, and wine tours for a couple of weeks in early 2020. It’s always been on my list and I would love to go. 55 Responses to "2019 Financial Goals"
My goal is financial independence so everything is geared towards that and all the buckets and processes are second nature after 15 years of being diligent. RRSP is maxed – my pay contribution and company match maxes it. RESP is done – I am withdrawing. No rush on the mortgage. Interest rates still too low and the stock market is on sale. Avoid lifestyle inflation is what I fear the most. Geez, well done DE. Kids are ready to use RESP now? We are saving for our 2020 TFSA too as we’ve already maxed out our contributions for this year too. I’m 6 months away from becoming Mortgage free ( June 2019 ). So excited!. Because I have an unpredictable job so my next goal is setting an Emergency Fund with 25K enough for a year of living expenses, this will stop my sleepless nights in case of something out of the blue happens. Cheers Mark and I have to confess that I’m so grateful to you and your blog, you have a big role in where I was in 2016 when I discover you and my financial situation Now. You are my guide, my teacher, my inspiration until now. Thank you so so much for your time and effort in helping me indirectly to get back on track during ( 2016-2017-2018-2019 ) and hopefully, in 2020 I will start my new road into investing in long term dividends for my retirement. I just want you to know 🙂 God Bless You! Geez, high praise and very kind words! Thanks for that and all the best to you. I ditto LA ‘s comments. I’m so grateful to you and your blog, you have a big role in where I am today. (On a Mexican beach, happily retired 😎) I have learned so much reading your blog and the useful links you provide. You don’t pretend to know it all and you share your mistakes humbly. Best for 2019 Mark. Hasta luego. i like #2 mark. i think that one should be fun and a challenge. i think maybe the better half should kick in $2.50! (: good luck. Ha, she already does 🙂 It’s our money and I’m reminded of that my friend. Thank you too Mark – I still have yet to implement some of your strategies – I am working on it – garnering as much info as I can before I do anything – I am a little fuzzy when it comes to purchasing dividend paying stock and moving my funds from where they are now. Your blog is a real Godsend and an eye opener. I have a lot to do as my portfolio is held with a financial company stuck in mutual funds – the returns this year were dismal – I have to let go of the hand holding and figure out how to do this on my own. So ditto all the things LA thanked you for, so do I. And thanks to all of your other followers who share so their experiences willingly too. To be honest on the dividend paying stock stuff, I can only speak that this approach both appeals and is helping me. Your mileage might totally vary. That said, when I look at what dozens of big bank mutual funds and ETFs own, they basically all own the same top-20 or 30 CDN stocks – so I figure, why bother and just own the companies outright/myself? So I do! 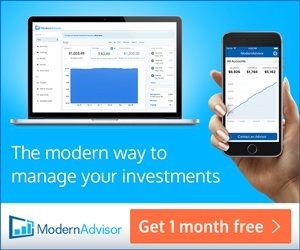 I can’t offer direct advice but I do write about (often) what I think about and my journey and if you’re just starting to break the ties with your funds – you might want to consider those all-in-one funds from Vanguard I wrote about (see below), or new iShares products (not written about yet but will!). 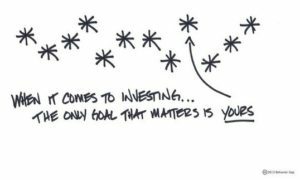 Investing can be simple (save) but not easy (what to save and invest in and why over time). I could also recommend a few other books from my Books page if you want. Happy to answer specific questions via a future blogpost. Just let me know. Hi Mark – thanks for responding to my comment here – appreciate the insight and will look into the links listed – thank you!! If I respond to the comment that landed in my inbox, if I respond does this go to you personally? or will it show in the comment thread? Let me know, thanks!! Hey Amanda, comments here are best this way I can respond to you, others can see and be transparent all at the same time. If you reply via my newsletter directly, comments go to my email inbox directly. Specific financial goals for me this year, one more endowment fund to set up and annual contributions to the other four. Do the wills. I think you’re smart to chat with Doug R. and get some numbers run. He seems like a good guy to give some honest advice. I would like to volunteer more too…I need to make the time. It’s something I know I should and rather want to do more but I have other things getting in the way of late. I figure at minimum wage, this blog is a bit of giving back at least. I try to keep it current and it helps a handful of folks here and there then mission accomplished. I hope to volunteer in “real ways” sooner than later. I just donated a bunch of good clothes to The Ottawa Mission and I hope I have some time to offer there in the coming years. Appointment with the lawyer 9:30 tomorrow morning. After several years I’m finally getting it done. I’m so pathetic. No messing around. Love it. lol…you’re training for a friggin marathon at 60 and I get an attaboy for driving a mile to the lawyer’s that I’ve put off for years?? I feel like a toddler who’s just had his first potty training success. haha, thanks for the laugh Lloyd. Potty trained. That’s a good one. A “half” marathon. My days are full marathons unfortunately are over. No way body can take it anymore. I’ve done the Manitoba full twice and the half once. And Mark I’ve done Ottawa full 3x and laundry list of others. I’m still not going walking in – 20 Deg. C with wind tonight but thanks for the inspiration 🙂 Seriously, that’s awesome stuff. All good. Enjoy the stretching and hope it gives you some more blog inspiration. Devil is in the details. Yeah, for sure. Nice goals. Best wishes for 2019 Mark. I have some goals for 2019 too but they might be considered boring. 1. Contribute 12k to TFSAs in 2019. Done. 2. Increase investment income 3%+ in 2019. 3. Have cash ready by end of 2019 for 2020 TFSAs. 4. Get my body healthy and healed to run a competitive half marathon this year at age 60. Best wishes on your goals. I’m sure you do. I have lots of others but wouldn’t bore others with them. Ya, a half if I can get my chronic hamstrong issues minimized. They’ve been bad for many years though but I can’t give up. I won’t do it unless I can get in the training to also be competitive in my age group. The last full was 2005 and when I began to have chronic overuse injuries. I’m also still nursing a groin strain from 2 mths ago, and a back strain from last week. Body feels like a wreck right now but the physio folks just love me, and I’m determined to get healthy. Re the volunteering, ditto here. As it happens I’m filling out an app right now to help with a library driven English Conversation Language program for immigrants. And yes your blog is definitely giving back. Admirable. I’m trying to walk about 30-45 min. every night. I can’t run – well, don’t want to in -20 Deg. C. I think I’ll do some stretching tonight as I watch some hockey and think about another blogpost. Sounds like you’re in pretty decent shape overall RBull – continued success on the health. Wow, good for you to give back. Half marathon at age 60! Wow. I really should begin to do more exercise. Will try to play ping pong everyday. You folks are too kind. It’s not climbing Mt Everest. I am having difficulty walking right right now due to hamstrings so have quite a ways to go. Good luck everyone with your health and activity goals for 2019. I think you will achieve all your goals without any problems. 1. Keep our jobs for another year and try to save 50% after tax money. 2. Control our expenses. Reduce waste on throwing away food not eaten (my bad, too much costco shopping) and clothes not used or used very little (mainly kids clothes, I buy too much and the kids are picky sometimes). 3. Continue to invest cash on hand to generate enough investment income to cover basic living expenses. 4. Two trips with kids. One is planned and partially booked. Another still in looking. Those sound like great goals to me! I wish you well in yours May. Keep us posted. All the best in 2019 May. The first one – hard to control. Hopefully it continues nicely for you. The others- yes achievable for you. Not a grain of rice is wasted here and we shop Costco weekly too. I’m the leftover king. Clothes, ha. I think that was covered in another thread somewhere. Hey, that’s kinda unfair, how did Bull get to be #1? Some great set of goals Mark. Lots of similar goals for us. You put it well, that (mortgage) debt is an anchor. We paid down a similar amount in 2018 and feel great seeing that remaining balance tumble. We intend to keep chipping away at it every year. Thanks R2R. With a young family you are doing very well for yourself. Here’s to a great 2019 indeed – see you for a beer soon I hope. Great list of goals, Mark! I like the idea of being specific as well. I really like your $5 daily saving challenge. That’s something I should do to get ahead with savings. As for my goals, I focused on keeping them specific as well. I am aiming to save $6,000 this year, reduce my student loan to less than $3,500, and the rest of the goals are centred around how much dividend income I plan to earn. Good luck with your goals this year. RTC, great to see you on the site. Happy to follow you as well. Reducing your loan and investing sounds like a great one-two punch for 2019. I hope you nail them and keep me posted. Ohh your trip to Chile sounds amazing! Easter Island is a long way from Chile though but that’s on my bucket list. Pantagonia looks beautiful– are you going to go to Ushuaia (I may have spelt that wrong)? Looking forward to live vicariously through your pictures. Need the money first – gooo $$ challenge! Thanks for being a big fan. Didn’t get to Santiago (Dec’16/ Jan’17) but did visit La Serena/Coquimbo, Valparaiso, Vina del Mar, San Antonio, Puerto Montt, Punta Arenas, Chilean Fjords, Ushuaia (Argentina), Cape Horn, Puerto Madryn, Buenos Aires, and Montevideo, Uruguay, as well as brief stops in Mexico & Costa Rica. The highlight for us though was Falkland Islands with our offroad LandRover adventure and seeing 3000 penguins in one site. A second was in Peru with the Paracus area and Ballestas Islands. Regret not being able to fit in Machu Picchu but maybe another time! Sound like a fantastic trip for you to look forward to Mark. I’m going to have to email you back. I recall your trip and I would love to pick your brain about what you saw/visited in Chile! We’ve been to Argentina (BA, Mendoza, other) and Costa Rica a couple of times but would love to see Chilean Fjords, visit Valparaiso, see Santiago – do some wine tours, stay in villas, etc. At least that’s the idea for now. Gotta dream! I love travel goals. Do you do any credit card churning Mark? Before we had kids my wife and I took a trip to Japan, flights were similar in cost to Chile, but we were able to save a bunch by using points, we only had to pay tax & airport fees. The mortgage is also a great goal. 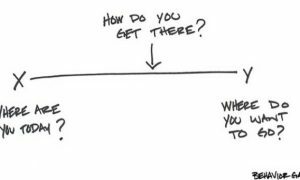 While not “mathematically optimal” I personally believe being completely debt free is worth it. Such a great feeling. Definitely prioritize TFSA & RRSP, but after that paying down the mortgage is a perfect way to use extra money! “Definitely prioritize TFSA & RRSP, but after that paying down the mortgage is a perfect way to use extra money!” – you got me figured out! 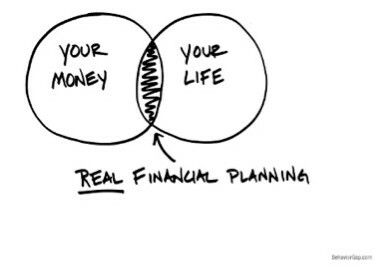 This blog is helping me get on track and fix up my financial life. Starting small when looking at everyone’s goals here but they give me something to strive for. Goal will then be to increase each goal every year. I think those are great goals – a good balanced approach. If the TFSA is not fully funded, use a HISA in a TFSA to shelter from taxes. It’s easily accessible and if/when the emergency money is used it can be replenished the following year. Not sure if you’re a podcast fan but Doug Hoyes did a great podcast/blog post on this very subject. Hey makes some great points about achieving goals. I highly recommend his podcast. I’ve listened to Doug’s podcasts a few times here and there. It’s good stuff. Not sure I heard this one though and will check out. Thanks Rob. Wonderful read and thanks for being so generous with your time and knowledge. I’ve got most of my goals accomplished to the best of my ability (no mortgage or debt) and now have to let the market dictate how successful I can be with dividends, DRIP’s etc. Its been quite the roller coaster for the last several months but if I have picked my stocks right they will weather the uncertainty over the long term. All except for oil and gas… it is killing my overall return and will rethink my position over the next while. But we are now paying it forward (hopefully). With 10 grandchildren we have set up a little game plan with the older ones. Instead of Xmas and birthday gifts, we are setting up trading accounts of $1,000 each; managed by them to research (all have this website to refer to as an example) and then discuss best options (such as a DRIP) or what exchange to focus on etc. I can tell you every single one of the grandchildren is excited for all the right reasons, to watch their money grow and knowing they are starting to build their financial future. It’s not much, to begin with, and we will revisit on at least an annual basis but its a start and we as grandparents get to be involved in their lives much more frequently. And that is our gift to ourselves. 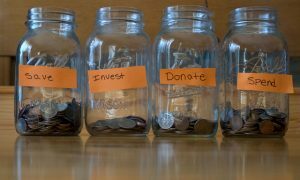 My wife and I gifted a few shares of some stocks years ago to some of our nieces and nephews – in hopes their parents might be able to start creating a small stock fund for them. We haven’t really followed up on it so I suspect those gifts didn’t really take but maybe someday they will.